Home»All»Houston Visitor’s & Local’s Guide: Explore Houston Like an Insider with these Things to Do with Kids! I was recently on a trip and looking for things to do with kids… Rather than searching multiple websites and grabbing lots of pamphlets from the airport, I wanted one place to get recommendations from a local parent. So, I came home and created this resource for things to do in Houston with kids. Everything here is something you can’t do in other cities… so no playhouses or generic venues… these things are uniquely Houston! Also, this is not just a directory of things to do. These are places I’ve taken my kids, pushed a stroller through a crowd, desperately searched for a bathroom for a toddler and politely pleaded with 3 kids to exit gracefully, well after exhaustion set in (and still liked it). In summary, this is a parent recommended list. Browse through this long list of things to do in Houston, with kids, and pick the adventures that are appealing to your family. Click on the category for all the details… and look at the map below for locations. Half Day in Houston: Having fun with the family and exploring Houston can be easy! If you have a few hours, we have ideas on how to spend them with the kids. 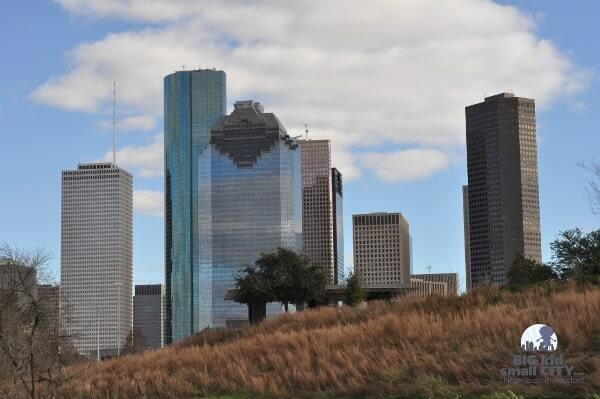 In this Half Day in Houston series, find a place to park, play, explore and eat… all in one spot. Pick what you like or combine with another Half Day idea. This list is organized by location. 20 “Not-Your-Usual” Things to Do: This list does not include usual favorites… so you won’t find the awesome Children’s Museum here. Instead, you will find things with fewer crowds, some that are a little quirky, and all that are just as much fun as the well-known spots. Look a Little Closer: There is no doubt that there is a lot to do with kids in Houston. Just the large number of activities could keep you busy for a childhood. And if you look closer, you can find quite a few activities that are unique to Houston and some that just a little quirky and out-of-the-ordinary. But if you look even closer, there are some things that are so surprising that they disorient you and make you question where in the world you are. Houston Parks: Houston has hundreds of parks for you to explore. We have the kid favorites listed here. Free Things to Do in Houston with Kids: Over 40 Free Things to Do! Small Museums: Beat the crowds and explore Houston’s smaller, kid friendly, museums. Get Wild – Animals, Nature Centers and Farms in Houston: Houston is a big city with a lot of highways, buildings and concrete… but lucky for animal lovers and those that just love to be outside… Houston has something for you too! Look here for places to see animals, to explore nature centers and to play on farms around Houston! Splashpads: Cool off at one of the many free Houston splashpads. Beyond the Beltway: Things to Do outside Beltway 8! Rainy Day Things to Do: Top things to do when it’s WET! Where to Find Trains: Where to take the little engineers! Where to Find Fire Trucks: Where to take little fire fighters! Kid Friendly Restaurants: Looking for a family friendly restaurant in Houston? We review a new one each week! See the highlights HERE, including our favorite spots, where kids eat free, gluten free spots and best burgers, tacos and more! Current Events: Find an event happening this week and weekend! Roadtrips: Want to get away, enjoy a vacation with the family, but not have to work so hard to have fun? Here are the Texas roadtrips recommended by Houston parents! Read on to see spots near Houston, towards Austin, Corpus Christi, San Antonio and Dallas. Camping Near Houston: Here are the spots Houston parents recommend for camping near Houston, with kids! Things to do in Galveston, with kids: Whether we are looking for a beach, museum, park or restaurant, the small Galveston Island has them… and they are easy to get to! Here are the places we’ve visited with kids (and not just a laundry list of things to do). Things to do in Montrose with kids: Walk through this hip neighborhood… and find lots of things to do in Houston with kids! Things to do in Chinatown with kids: Chinatown! We love it, but it can be overwhelming with all the shops and restaurants. Here are some things-to-do to get you started. For a map of things to do, look below! Best Places to Camp Around Houston... with Kids!